The CIMA Professional Chartered Management Accounting qualification is considered one of the most relevant finance qualifications for business professionals in the world. If you wish to pursue a career in Management Accounting or are already working within accounts and wish to move into a different area, then CIMA is the path for you! This CIMA Package is designed for people with an accountancy or finance degree, or someone who is already AAT qualified. If you don’t meet these requirements, then you will need to undertake the CIMA Certificate in Business Accounting before getting started with the CIMA Professional Chartered Management Accounting qualification. The CIMA Professional qualification will teach you decision-making skills that will enhance you in all areas as a business and finance professional, including technical accounting, management and strategy to ensure a well-rounded approach to your business endeavours. The CIMA Professional Chartered Management Accounting qualification is split into nine modules that explore the technical art of decision making and learning to deal with strategic issues within a business environment. 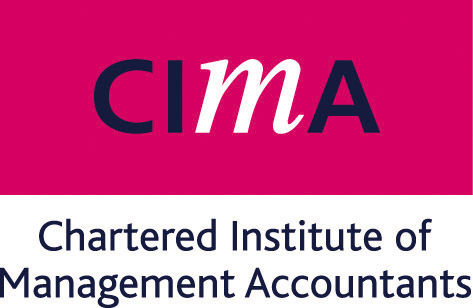 The Chartered Institute of Management Accountants (CIMA) is the world’s largest and leading professional body of management accountants. CIMA offer the most relevant global finance qualifications for business. Grasp the fundamental elements of organisation management, inclusive of buyer behaviour, marketing aspects, information systems and legal issues. Learn how to apply your established accounting knowledge to financial matters. This will include budgets, variance analysis, cash flow forecasts and investments. Understand the layout of financial statements and demonstrate confidence with regards to tax, audits, assets and report financial performance. Explore project management and strategic analysis, including the core understanding of the techniques that a business requires to succeed. Understand the importance of leadership and develop your management skills to really ensure that you are well equipped to further your career possibilities. Understand how pricing and budgeting affect the performance of a business. Learn how the learning curve theory and break-even analysis can play an important role in business strategies. Realise how advanced management accounting, financial analysis, retirement benefits various groups and associate can help you progress in your field. Apply knowledge of marketing, strategic management and environmental analysis and see how they determine the overall position of a business within its industry. Calculate risks and manage them and learn more about the auditing process. Learn how short-term and long-term financial strategy is a fundamental building block for any growing business. The CIMA Professional Chartered Management Accounting qualification will take approximately 198 hours for you to study, we give you 24 months to complete the course, so you can complete it at your own pace. The CIMA Professional Chartered Management Accounting qualification is ideal for finance professionals who are focusing their careers on management accounting or who are in a business finance role. This course will help to lay the foundations for your future and deliver the knowledge you need to work your way to the top. If you have an accountancy or finance degree, or are a member of AAT who is qualified, you can start the CIMA Professional qualification. If you are new to the finance industry, or are just starting in your journey to gain recognised qualifications, you will need to start with the CIMA Certificate in Business Accounting before progressing to the CIMA Professional qualification. A qualification with CIMA can open many career opportunities, whether that is working in Finance, Project Management or Accountancy. You will also be able to continue onto further studies in CIMA, with the rest of the CIMA Certificate in Business Accounting, with studying members of CIMA earning an average salary of £32,000. Once you qualify as a CIMA member you can earn wages of up to £60,000.